Firstly, I’d like to apologise for my silence on here as of recently. After my last post outlining how Seasonal Affective Disorder affects me, I seemed to take a turn for the lazy and went into full self preservation mode – aka only doing what was necessary (my 9-5 job and other important arrangements). I am back today with a short bit to share my thoughts on New Year’s Resolutions. New Year, New Me. After an indulgent Christmas, the 27th December rolls around, and as the sugar high from 2 boxes of Quality Street wears off, I vow to myself to be a better me. More balanced, more proactive, kinder, and most prominently – healthier. I’ll finally go keto, or cut out chocolate completely, I’m going to do exercise every day and lose half my body weight. The problem is, these strong convictions for self improvement are short lived, and as strongly as I feel at the beginning the willpower always wears off. The truth is that although the new year presents a perfect opportunity to focus on oneself and change behaviour, long term habits are hard to break, and any attempt to do so takes patience, planning and clear goals. In general, we aren’t very good at sticking to our resolutions, but there are some ways you could alter your way of thinking in order to (perhaps) make 2019 your year. In general, it has been shown it is not our behavioural skills, or support from those around us, but the readiness to change and to question, but not punish oneself, that have been the most accurate predictors of long term success. Successful resolvers are adaptable and controlled in their approach to finding solutions, but even then, around half of these experience at least one slip. It is not about succeeding in the first place – but allowing yourself to learn and grow from your mistakes, and be kind to yourself in achieving your goals. If you are interested in the aetiology of temptation and self control, I highly recommend The Marshmallow Test by Walter Mischel, which concludes, amongst other things, that the ability to be disciplined is largely predetermined and shaped from an early age. Differences in parenting style, environment, socioeconomic status, and brain physiology all play a part in the correlation between delay gratification (the ability to resist the temptation of an immediate reward in preference for a later reward) and other factors, such as higher SAT scores, lower BMI, academic competency and general life successes. The evidence for a biological basis for the ability to be disciplined is strong – studies have shown that the prefrontal cortex, specifically the ventral striatum (an area linked to addictions) displays significant differences in activity between “high delayers” (those who are more able to delay gratification and wait for something to pay off) and “low delayers” (those who tend to be more impulsive and not stick to goals). Interestingly, a study from Stanford university split several dozen undergraduates into two groups, one to remember a two digit number, and one to remember a seven digit number. They were told to walk to the hall, where they were presented with either a slice of cake, or a piece of fruit, The students with seven digit numbers were nearly twice as likely to chose the cake – suggesting that overloading the prefrontal cortex makes it much harder to resist temptation, which could explain why so many are likely to have a cheat meal after a stressful day at work. Although there is something rather unsettling about the scientific model of willpower, that does not mean there are not things we can do to try and make ourselves more successful in our quest to lose a bit of weight, or become a bit more proactive. Firstly – be patient with yourself. It takes real time to change behaviours and habits you may have been carrying around for years. Slip ups will happen but that does not mean you have failed – success is not a linear journey. Prove to yourself you can become this “new person”, by setting small, achievable goals. To lose weight, you don’t just cut down to 1200 kcals and hope for the best. A better route would be to vow to eat out only once a week, to have 2 portions of vegetables or fruit with every meal or to drink 2L of water a day (although, the evidence that 2L is how much we should be drinking is disputed.. but it’s a good place to start). Have a specific plan. The most efficient way to reach your goals is to have clear end points in mind. In a study on 248 participants wanting to do more exercise, the group forced to create specific plans “During the next week, I will partake in at least 20 minutes of vigorous exercise on [DAY] at [TIME] in [PLACE].” partook in more than double the rate of exercise than the other groups (a control, and one that focused on solely motivational materials as a way of encouraging the behaviour). So, good luck! No matter how tough, or how many times you fail, there are always ways to change unruly habits for the better. There is a plethora of fascinating and information research regarding the psychology and neuroscientific basis for motivation and achieving goals, and I highly implore you to read some (maybe this could be a goal too..!). I sincerely hope 2019 is a good year for all, and that you can achieve everything you wish to. Marlatt, G. and Kaplan, B. (1972). Self-Initiated Attempts to Change Behavior: A Study of New Year’s Resolutions. Psychological Reports, 30(1), pp.123-131. Norcross, J. and Vangarelli, D. (1988). The resolution solution: Longitudinal examination of New Year’s change attempts. Journal of Substance Abuse, 1(2), pp.127-134. Norcross, J., Ratzin, A. and Payne, D. (1989). Ringing in the new year: The change processes and reported outcomes of resolutions. Addictive Behaviors, 14(2), pp.205-212. Hu, X. and Guo, Y. (2013). The Promotion Role of Implementation Intentions on Goal Achievement and Their Psychological Processes. Advances in Psychological Science, 21(2), pp.282-289. Milne, S., Orbell, S. and Sheeran, P. (2002). Combining motivational and volitional interventions to promote exercise participation: Protection motivation theory and implementation intentions. British Journal of Health Psychology, 7(2), pp.163-184. Seasonal Affective Disorder is more than the winter blues. Ah autumn! The leaves are changing, the burgundy jumpers are coming out and talk of Christmas is in the air. Apart from.. all I can think about is how it’s getting colder and darker, how it’s getting so much harder to wake up in the mornings, and to motivate myself to do the things I once loved. I feel it like a sludge in my body, it moves around all my organs and veins and slows everything to a sleepy blurry mess. It gets harder to control my emotions, I swing uncontrollably between paranoid, devastated, angry and ecstatic, and by the time I have stabilised my mood I am too tired and numb to do anything else. Trying to vocalise exactly what I feel in a depressive episode is beyond my capabilities, especially right now in the middle of one. But today I’d like to discuss Seasonal Affective Disorder (SAD) and bring awareness to a condition that affects so many, both close to me personally and worldwide. Now technically what I have is termed Bipolar Disorder With Seasonal Pattern, that is to say I consistently experience SAD symptoms in winter as a part of my bipolar disorder. This is actually quite common, with up to 25% of bipolar disorder patients suffering at some point in their lives. But, true SAD is the name of a mood disorder given to people who are otherwise neurotypical, but experience depressive episodes in the autumn to winter months. The exact prevalence is difficult to truly decipher, but some population studies have cited rates as high as 15% in northern countries such as Canada. Young adults and women are most likely to experience SAD with the reported gender difference ranging up to 9:1. 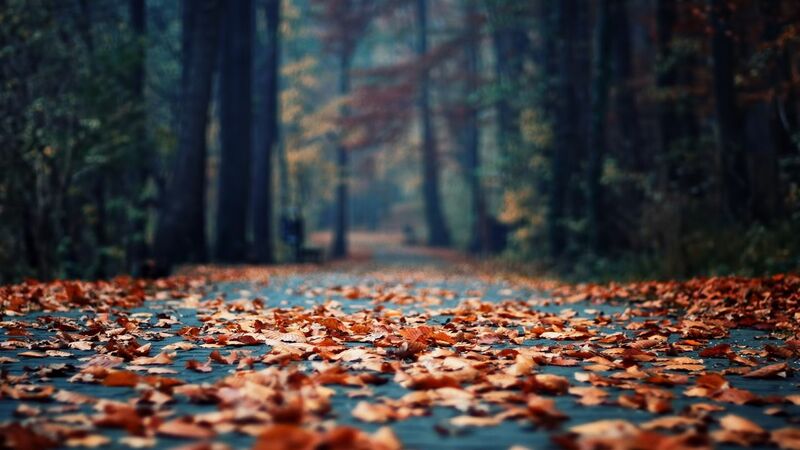 Interestingly seasonal exacerbations are not limited to mood disorders, but have also been found in bulimia nervosa, anxiety disorders and other psychiatric illnesses. Monoaminergic – The turnover of serotonin, a neurotransmitter thought to contribute to feelings of happiness and wellbeing, is generally lowest in winter. This is thought to be directly related to lower levels of bright sunlight as many studies have found serotonin increases rapidly increased luminosity. Less outdoor exposure to sunlight can also lead to a lesser production of vitamin D. As vitamin D is thought to play a role in serotonin activity, vitamin D deficiency has been associated with clinically significant depressive symptoms. A low level of serotonin being a factor for SAD is supported by the effective treatment of SAD by SSRIs (selective serotonin re-uptake inhibitors), that increase neuronal concentrations of serotonin. Interestingly tryptophan depletion (tryptophan being the precursor to serotonin) can reverse the positive effects of effective SAD light therapy treatment (more of that later!). Phase shift – This hypothesis centers around the theory that the body’s sleep-wake cycle or circadian rhythm, is delayed compared to the environmental light-dark cycle. This can be seen in delayed onset of sleep, melatonin (sleep hormone), body temperate and cortisol. Although it is unsure how this exactly can link to depression, patients who were given melatonin in the afternoon, or took part in light therapy in the morning were thought to have their misalignment somewhat corrected, and saw an improvement in symptoms. Photon count – a less studied and therefore less credible hypothesis, the photon count hypothesis directly relates photons (or the lack thereof) reaching the retina as a key factor for onset on SAD in vulnerable individuals. Melatonin release – some studies have shown that individuals with SAD had longer release of melatonin in winter than in summer whereas controls did not. This suggest that SAD patients generate a biological signal of change of season that is not seen in the normal population. Interestingly, this ability to switch biological activity is seen in some mammals upon seasonal change; one theory is that only humans with SAD have retained this ability. So.. how can we treat it? As with most, if not all, psychiatric disorders, there is no one box fits all approach to treating seasonal affective disorder. The first recommended line of therapy is called Bright Light Therapy (BLT). Benefits are generally seen 1-3 weeks into treatment and usually utilise light intensive of 10,000 lux, much brighter than the typical indoor illumination (between 100-500 lux), for 30 minutes in the morning. Studies have found that BLT critically depends on the time of delivery relative to the circadian phase, with most finding preferred treatment in the morning rather than the evening as to not disturb melatonin secretion before bed. Gradually increasing bedside lighting before morning, in a process called dawn stimulation, is often used as is effective in banishing the common problem of morning drowsiness and difficulty awaking in those with SAD. BLT has been consistently shown to be cost effective, safe, efficient and yields a high response rate. A meta analysis found remission rates of up to 67% for mild depression and 40% for severe depression whist using this therapy. Adverse effects are usually mild and uncommon, and include sleep disturbances, headache and nausea. There appears to be no absolute contraindications, although it is important that the UV spectrum is filtered out of the therapeutic light source. The thought mechanism of action is based around the hypotheses that suggests that a shift in circadian and seasonal rhythms are responsible for symptoms, and it is also though to counteract serotonin depletion. Pharmacotherapy can also be used in the same way to try and restore supposedly altered levels of serotonin. Multi-centre placebo-controlled trials have lead to the recommendation of SSRIs such as fluoxetine (prozac) as a first line treatment of SAD. These SSRIs are sometimes in combination with light therapy; although there is little evidence that this has superior efficacy as a combination and interestingly, there is generally little difference between remission rates between those who use BIT or SSRIs, but there is a faster onset of antidepressant action in those who choose light therapy. Occasionally other classes of antidepressants, such as Monoamine Oxidase Inhibitors (MAOIs) or Tricyclic Antidepressants (TCAs) are used, however they are less studies, and generally shown to be less efficacious or at the very best as efficacious as SSRIs but with more side effects which generally has a negative implications for patient compliance. New pharmacological agents are being explored, for example agomelatine – a new dual melatonergic and serotonergic antidepressant that exhibits action on circadian rhythms. other pharmacological therapies, such as beta blockers, melatonin antagonists, and vitamin D have all been investigated to varying degrees of success and ultimately and studies on these less common treatments have been preliminary and in small sample sizes. Patients who are resistant to treatment can sometimes be prescribed adjunctive psychotherapy, normally in the form of cognitive behavioural therapy (CBT) that has been specifically altered to seasonal depression. As it stands now there are no therapies specifically targeted at bipolar seasonal depression, and the advice is simply to continue or adjust with regular medication – which is probably for the best as switching and adjusting to a new drug for what could only be as short as a month has a higher risk of adverse effects in terms of stability of condition and drug side effects. In reality, SAD is likely to result from a complex interactions between environmental, biological and psychological factors. Although symptoms in individuals can very from extremely mild to cripplingly severe, Seasonal Affective Disorder should be taken seriously. To many, winter is a happy time full of cosy nights and festive cheer; to others it is to be dreaded, a time of dark and cold and sadness. More research is needed to truly grasp the aetiology and pathophysiology of this condition, and I hope that we, as the scientific community, can be creative yet focused in out approach to finding efficacious treatment to SAD that can be tailored to the individual. So please, be sensitive to those around you who suffer, and if you yourself are struggling, know that help and love is probably closer than you think. If you are ever struggling or feel you may be suffering with SAD or any sort of psychiatric condition, please visit your GP. Getting help is always worth it. TERMAN, M. (1989). Light therapy for Seasonal Affective Disorder A review of efficacy. Neuropsychopharmacology, 2(1), pp.1-22. Lewy, A., Sack, R., Singer, C., Whate, D. and Hoban, T. (1988). Winter Depression and the Phase-Shift Hypothesis for Bright Light’s Therapeutic Effects: History, Theory, and Experimental Evidence. Journal of Biological Rhythms, 3(2), pp.121-134. Lam, R. (2006). The Can-SAD Study: A Randomized Controlled Trial of the Effectiveness of Light Therapy and Fluoxetine in Patients With Winter Seasonal Affective Disorder.American Journal of Psychiatry, 163(5), p.805. Sher, L., Goldman, D., Ozaki, N. and Rosenthal, N. (1999). The role of genetic factors in the etiology of seasonal affective disorder and seasonality. Journal of Affective Disorders, 53(3), pp.203-210. RUHRMANN, S., KASPER, S., HAWELLEK, B., MARTINEZ, B., HÖFLICH, G., NICKELSEN, T. and MÖLLER, H. (1998). Effects of fluoxetine versus bright light in the treatment of seasonal affective disorder. Psychological Medicine, 28(4), pp.923-933. Neumeister, A., Konstantinidis, A., Praschak-Rieder, N., Willeit, M., Hilger, E., Stastny, J. and Kasper, S. (2001). Monoaminergic function in the pathogenesis of seasonal affective disorder. The International Journal of Neuropsychopharmacology, 4(04). Mayo Clinic Staff (2017). Seasonal affective disorder (SAD) – Symptoms and causes. [online] Mayo Clinic. Available at: https://www.mayoclinic.org/diseases-conditions/seasonal-affective-disorder/symptoms-causes/syc-20364651 [Accessed 17 Nov. 2018]. Lambert, G., Reid, C., Kaye, D., Jennings, G. and Esler, M. (2002). Effect of sunlight and season on serotonin turnover in the brain. The Lancet, 360(9348), pp.1840-1842. Rosen, L., Targum, S., Terman, M., Bryant, M., Hoffman, H., Kasper, S., Hamovit, J., Docherty, J., Welch, B. and Rosenthal, N. (1990). Prevalence of seasonal affective disorder at four latitudes. Psychiatry Research, 31(2), pp.131-144. Magnusson, A. (2000). An overview of epidemiological studies on seasonal affective disorder. Acta Psychiatrica Scandinavica, 101(3), pp.176-184. Melrose, S. (2015). Seasonal Affective Disorder: An Overview of Assessment and Treatment Approaches. Depression Research and Treatment, 2015, pp.1-6. Geoffroy, P., Bellivier, F., Scott, J., Boudebesse, C., Lajnef, M., Gard, S., Kahn, J., Azorin, J., Henry, C., Leboyer, M. and Etain, B. (2013). Bipolar Disorder with Seasonal Pattern: Clinical Characteristics and Gender Influences. Chronobiology International, 30(9), pp.1101-1107. Neumeister, A., Turner, E., Matthews, J., Postolache, T., Barnett, R., Rauh, M., Vetticad, R., Kasper, S. and Rosenthal, N. (1998). Effects of Tryptophan Depletion vs Catecholamine Depletion in Patients With Seasonal Affective Disorder in Remission With Light Therapy. Archives of General Psychiatry, 55(6), p.524. Should you share your DNA data? The unfortunate truth is that the first ten years of my life were riddled with a continuous reminder of mortality. For a while, all I knew is that my mum was ill, and that she wasn’t going to get better. She was paralysed from the waist down with limited movement and control in her arms, in near constant pain and was unable to do anything for herself. It was revealed to me, perhaps at the age of 6 or 7, that her condition, Von Hippel-Lindau disease (VHL) was genetic, and that there was a chance that I could have it too. At 12 years old, a year after my mother has passed away and a few months after having a life threatening tumour (one that was hugely associated with VHL) removed it was confirmed to me that I had, in fact, inherited the mutation and thus is could be a distinct possibility that I could have the same fate as my mother. The pathophysiology of VHL and its possible treatments are a discussion for another time. Today, in preparation for my upcoming appearance on a live debate panel, coordinated by the British Science Association and sponsored by Genomics England, I would like to address the central question “should we share our DNA data?”. On the panel are experts in genomics and medical ethics, so I won’t pretend to know anywhere near as much as a true academic. I do believe, however, it could be of some benefit to share my opinion on the possible benefits of genomic research. What can your genome tell you? Well, 99.8% of human genomes are identical, so only 0.2% have variations – it is for this reason that large numbers of data sets are needed to better see the correlation between certain phenotypes and their genetic basis. Genomic data can reveal rare diseases, indicate predispositions to certain behaviours or illnesses, and can even be used in the research area of pharmacogenomics, an area that studies how genes can affect a persons response to drugs in order to improve efficacy and reduce side effects by banishing the “one size fits all” approach to prescribing medication. As a pharmacology student, and as someone who wants to work in pharmaceuticals, this growing area is of particular interest to me. Genetic variations can affect the absorption of a drug, how it is distributed, metabolised, how quickly it works, and the extent and severity of any side effects. The hope is that the move towards precise and personalised medicine not only be cheaper, but will improve drug safety, expand drug discovery, and ultimately lead to more efficacious treatment of illness and disease. The potential of the utilisation of genomic data to improve the life of everyone is astonishing, but would require large numbers of people to share sensitive DNA data that could have major repercussions if treated in the wrong way or put in the wrong hands. There is a fear that data could be misused, anonymity could be breached, and data could be sold for a profit (to insurance companies, for instance). Aside from the 100,000 genomes project, I am a part of one other genome project, conducted by the University of Birmingham that focuses of people who have had pheochromocytomas and paragangliomas, tumours which are very rare without a genetic mutation. For both projects, the process involved signing a lot of forms and committing to sharing my genome and medical history with research. The data is anonymised to keep confidentiality, and any new diagnoses or information gained via these projects will be relayed to me via my genetic consultant. And who wouldn’t want to contribute to the betterment or scientific research? Certainly a lot easier than conducting 230 studies myself.. But why exactly do I want to contribute? My medical history has been anything less than rosy. Watching my mother slowly die from a debilitating illness was obviously an awful experience, but knowing I have the same mutation also and so could very easily follow the same path fills me with dread. To me, one of the only ways to make it all worthwhile, is to do anything I can to try and prevent anybody else having the same experience. If I can donate my genomic data to research, and be a part of the breadth of information that could perhaps, one day, make diagnosis and treatment easier for people with VHL, or for anyone with genetic illnesses, then perhaps it will have all been worth it. As someone with a mutation of unknown clinical significance, and as a future scientist with a big interest in pharmacogenomics, I am more than happy to contribute in any way I can, despite the ethical implications and security queries. I will not be able to go back in time and change my mums fate, and I can not (as it stands now!) change my own genes and stop tumours from forming. But maybe, just maybe, I can be a part of the journey towards a life where genetic illnesses are a thing of the past. See https://www.genomicsengland.co.uk/the-100000-genomes-project/ for more information. Claire Wineland (photographed below) was an American activist and author who set up a non-profit organisation, “Claire’s Place Foundation”. Having cystic fibrosis herself, she wanted to help support others with terminal or chronic illnesses as well as their families. Claire had a successful double-lung transplant on the 26th of August this year. Sadly, this led to a stroke caused by a blood clot which cut off blood supply to the right side of her brain, which killed Claire on the 2nd of September 2018. Although her passing was not a direct result cystic fibrosis, this is an extremely difficult disease to live with and is often misunderstood. Figure 1 – Claire Wineland – (Image taken from http://www.wpsdlocal6.com). What Exactly is Cystic Fibrosis? Cystic fibrosis (CF) is an autosomal recessive genetic disorder, meaning both parents must have the defected gene in order for their offspring to have it. It is often associated with the lungs, but actually, the name itself refers to its effects on the pancreas. Cystic refers to the cysts, or fluid-filled sacs, that form on the pancreas, and fibrosis refers to the excess connective tissue. It is caused by the mutation of the gene that encodes a chloride-conducting transmembrane channel, known as the cystic fibrosis transmembrane conductance regulator (CFTR). This gene codes for the CFTR protein, which functions as a pump for chloride ions into various secretions to thin them out. Although there are over 2000 variations of mutations for CFTR, the most common mutation is the ∆F508 mutation. This means a deletion of phenylalanine at the 508th amino acid. This mutated protein then gets misfolded so that it cannot migrate from the endoplasmic reticulum to the cell membrane. Hence, there is a lack of the CFTR protein on the endothelial surface, meaning chloride ions cannot be pumped out and water does not get drawn in, resulting in overly thick mucus secretions. With regards to the pancreas, pancreatic insufficiency arises in CF as a result of thick secretions blocking the pancreatic ducts. This prevents digestive enzymes from reaching the small intestine, meaning fat and protein cannot be absorbed as they cannot be broken down, leading to weight gain. This can be controlled, to an extent, through a careful diet. Damage of the pancreas itself is engendered by the blockage, as enzymes start to degrade the cells that line the pancreatic duct. This causes local inflammation, resulting in acute pancreatitis. In cases where cysts and fibrosis develop on the pancreas, this is chronic pancreatitis. Lung-related issues tend to occur later on in childhood. Since the mucus becomes too thick, as shown in Figure 2 below, mucocilliary action in the airways is deprived, meaning harmful bacteria are able to colonise the lungs as they are not being expelled. This leads to coughing, fever and decreased lung function. Antibiotics can be administered to control this, however, certain bacteria become resistant and the biofilm that surrounds these bacteria protect it from being killed by antibiotics. This can then lead to bronchiectasis, which is where the airway wall is damaged and there is permanent dilation of the bronchi. Over time, this can cause respiratory failure, which is the leading cause of death for people with CF. Figure 2 – The effects of cystic fibrosis on the trachea. (Image taken from www. ghr.nlm.nih.gov). In terms of treatments for CF, there is a large focus on nutrition and administering supplements to aid healthy weight gain, such as replacement pancreatic enzymes. Since CF is an obstructive disease, pulmonary function tests are regularly taken to monitor the status of the disease. Pulmonary treatment involves inhalers and chest physiotherapy. As far as medications go, n-acetylcysteine can be given to CF patients as it cleaves disulphide bonds in mucus glycoproteins, as well as dornase alfa, a nuclease which cuts up nucleic acid in mucus. In severe cases, a lung transplant is carried out. Currently, there are a number of ongoing research projects and clinical trials that aim to alleviate the symptoms of CF and prolong life of those suffering from it. One particularly interesting approach is the targeting of the CFTR mutation itself. Present-day research is focussed on three groups of drugs: potentiators, correctors or read-through agents. Potentiators enhance CFTR channel activity if it is correctly located. The idea behind this is that defects such as protein misfolding in F508del are corrected, allowing trafficking to the cell surface. Read-through agents allow the ribosome to ‘ignore’ a premature termination codon and produce a full-length protein. Several of these types of drugs have progressed through clinical trials and research in CF continues to be widespread. For Claire, she inspired many who suffered from any form of terminal illness. Not only did she publish her book, Every Breath I Take, but she also talked about facing the challenges of death through her YouTube channel and even gave a TEDx talk, which touched many people. Her focus was more on getting the most out of life rather than focussing on her illness and how to avoid death. Even though her passing was a tragedy, Claire’s legacy has left a huge mark on the world in terms of raising awareness of cystic fibrosis, but also living life to the fullest. Visit http://clairesplacefoundation.org/ to donate to families struggling to support loved ones with a terminal illness. Edmondson, C. and Davies, J. (2016). Current and future treatment options for cystic fibrosis lung disease: latest evidence and clinical implications. Therapeutic Advances in Chronic Disease, 7(3), pp.170-183. Elborn, J. (2016). Cystic fibrosis. The Lancet, 388(10059), pp.2519-2531. Reference, G. (2018). Genetics Home Reference, Your Guide to Understanding Genetic Conditions. [online] Genetics Home Reference. Available at: https://ghr.nlm.nih.gov [Accessed 9 Oct. 2018]. WPSD Local 6. (2018). WPSD Local 6 – Your News, Weather, & Sports Authority. [online] Available at: https://www.wpsdlocal6.com/ [Accessed 9 Oct. 2018]. Why aren’t we talking about codeine addiction? What do you think of when I say the words “drug addict”? For many it evokes an image of someone living rough, intent on spending all their money or doing anything they can to secure their next dose. However, for me I think of the mother of one of my close friends, who, for years has teamed up with her daughter to buy over-the-counter codeine medications from 6 different local pharmacies in rotation – as to avoid suspicion and questioning from the pharmacists who, at any time, could deny them sale if addiction was thought to play a role in their purchase. Codeine is usually prescribed as it is an effective analgesic that tends to have less side effects than other opioid drugs, however, although codeine is unarguably less addictive than other opiates, such as morphine and heroin, it can still carry significant risks to health especially in terms of tolerance, dependence and addiction. In 2015, the UK consumed almost 16% of the worlds share of codeine, 4% higher than that of the United States. The Royal Pharmaceutical Society and the Faculty of Pain Medication at the Royal College of Anaesthetists have stated that they have concerns about the growing number of people using opioids such as codeine, and this comes at a critical time as over-the-counter and prescription painkiller addiction is on the rise. Codeine is an opioid analgesic used to treat mild-severe pain and sometimes is used as a cough suppressant. Although effective, like every drug it has side effects, such as constipation, itchiness, slowed breathing, nausea, and in higher concentrations can cause pinpoint pupils, extreme sleepiness, an irregular heartbeat, coma and death. In the UK, codeine is a Class B controlled substance, or Class A drug when prepared for injection. Codeine is marketed as both a single-ingredient drug, only by prescription, and in combination preparations with paracetamol as co-codamol, a prescription medication, or with ibuprofen (such as over the counter as Nurofen Plus – my friend’s mum’s drug of choice). Thus, the possession of codeine without a prescription is legal as long as it is compounded with another ingredient and the dosage of the tabled does not exceed 100mg. As an opioid, codeine is chemically and biologically similar to drugs such as morphine and heroin. As such, they agonise opioid receptors in the nervous system. These receptors grouped into 3 main classes μ, κ, δ (mu, kappa, and delta) and are distributed in the pain centres of the central nervous system. They are usually stimulated by the body’s own neuropeptides, such as enkephalins, to facilitate and modulate the transmission and sensation of pain. Codeine acts as an agonist for the μ receptor, causing inhibition of neurotransmitter release from the primary afferent terminals in the spinal cord and activation of descending inhibitory pain controls in the midbrain, dampening the sensation of pain as well as creating general sense of well-being (also called euphoria). As with any other opiate, uncontrolled use can lead to tolerance, physical dependence and addiction, even to the point where drug use becomes the defining behaviour in the life of the individual. Codeine is a pro drug; In most humans 10% of a codeine dose is transformed to morphine through demethylation in the liver via CYP2D6. However, many studies show no major differences in terms of analgesic efficacy between those who are poor metabolisers and extensive metabolisers and therefore the extent to which the biotransformation of codeine to morphine affects analgesia is still largely unknown. As an opiate, codeine runs a high risk of addiction that unfortunately can be difficult to detect and deal with. Many start out using codeine for genuine medical reasons and can easily be unaware or in denial that they are developing a substance dependence. Because of this, and that it is easily available over the counter, codeine is easy to abuse and over use. Prolonged codeine use can lead to tolerance. Although numerous mechanisms for tolerance have been suggested, no concise theory reigns. It is thought, however, that tolerance is most likely due to opioid receptor desensitisation and molecular adaptations in neurons that reduce signal transduction from the receptor after acute activation. In essence this means you need more drug to have the same effect; clinically more than 10-fold dose escalations of opioid dose in chronic pain management are common. Abrupt cessation of codeine, especially following prolonged use, produces a highly unpleasant withdrawal syndrome mainly mediated by cellular adenylate cyclase signalling adaptations (see here for a good paper outlining this). Opioid withdrawal syndrome produces symptoms such as stomach cramps, elevated heart rate, sweating, irritability, headache and insomnia; it is because of this that many people find it difficult to stop taking codeine, as the presence of these unpleasant symptoms perpetuate and validate their belief that they need the pain killer in the first place. In fact, for many it is easier to ignore the possibilities of long term effects and continue to take codeine as they “feel fine”, rather than face these withdrawal symptoms. While this phase is associated with physical dependance, psychological addiction can also occur, which is characterised by a craving and major preoccupation for the drug. This psychological aspect is often linked with a desire to experience the euphoria associated with opioid use, however it is a much milder form in the case of codeine compared to morphine or heroin. This mental aspect often requires more support to get through, and can be a major barrier to breaking the cycle. The risk of other health issues, as well as addiction, increases with long-term usage of codeine. Building up a tolerance leads to needing a higher dose in order to feel the same rush, and with this higher dose comes the main reported negative effects: namely pain upon discontinuation, mood swings, constipation, nightmares and insomnia; interestingly, one study showed that depressive symptoms increased significantly with codeine use of more than 6 months. In higher doses, continued use can cause serious respiratory depression and organ damage. Another serious problem with chronic codeine use is those effects mediated by other drugs in the formulation. For example, in the UK, paracetamol (acetaminophen) is often used in conjunction with codeine. Over long periods of time, paracetamol use produces an increased risk of gastrointestinal bleeding, an increase in systolic blood pressure, and most worryingly hepatotoxicity and hepatic necrosis due to a reactive toxic metabolite that is usually inactivated at normal doses. The increasing use of codeine is a worrying phenomena that deserves more attention. For most indications, there is little evidence codeine is more effective than alternative medicines, and crucially codeine is not intended to treat long term conditions. It’s easy to forget that codeine is an opioid, and as such carries a significant risk of addiction, tolerance, dependence, along with a whole host of negative side effects. One major key to combatting this problem is education – according to a recent cross section study of medical professionals, over half of prescribing professionals felt patients were unaware of the adverse effects and consequences of codeine combination medicines, and most felt that more communication with patients is needed to educate about the realities and responsibilities of codeine use. Only take prescription strength codeine at the discretion of your doctor. Do not take over the counter codeine for more than 3 days. Keep an eye out for signs of addiction or dependence – being able to stop the cycle early is key! If you feel you need support or guidance with addiction or dependency, please visit https://www.mind.org.uk/information-support/guides-to-support-and-services/addiction-and-dependency/#.W7DvGhNKjOQ for more information. Buckley, J. (2018). It’s no surprise that prescription drug addiction in the UK is on the rise – I should know, they nearly killed me. The Independent. Vitols, S. (2003). Paracetamol hepatotoxicity at therapeutic doses. Journal of Internal Medicine, 253(2), pp.95-98. Allouche, S., Noble, F. and Marie, N. (2014). Opioid receptor desensitization: mechanisms and its link to tolerance. Frontiers in Pharmacology, 5(280). Morgan, M. and Christie, M. (2011). Analysis of opioid efficacy, tolerance, addiction and dependence from cell culture to human. British Journal of Pharmacology, 164(4), pp.1322-1334. Romach, M., Sproule, B., Sellers, E., Somer, G. and Busto, U. (1999). Long-Term Codeine Use Is Associated With Depressive Symptoms. Journal of Clinical Psychopharmacology, 19(4), pp.373-376. McCrae, J., Morrison, E., MacIntyre, I., Dear, J. and Webb, D. (2018). Long-term adverse effects of paracetamol – a review. British Journal of Clinical Pharmacology, 84(10), pp.2218-2230. Lautieri, A. (2018). The Effects of Codeine Use – DrugAbuse.com. [online] DrugAbuse.com. Available at: https://drugabuse.com/library/the-effects-of-codeine-use/#long-term-effects-of-codeine [Accessed 30 Sep. 2018]. AddictionCenter (2018). Codeine Addiction and Abuse. [online] Addictioncenter.com. Available at: https://www.addictioncenter.com/opiates/codeine/ [Accessed 30 Sep. 2018]. Gardiner, S. (2006). Pharmacogenetics, Drug-Metabolizing Enzymes, and Clinical Practice. Pharmacological Reviews, 58(3), pp.521-590. Foley, M., Carney, T., Rich, E., Parry, C., Van Hout, M. and Deluca, P. (2016). Medical professionals’ perspectives on prescribed and over-the-counter medicines containing codeine: a cross-sectional study. BMJ Open, 6(7), p.e011725. Kosten, T. and George, T. (2002). The Neurobiology of Opioid Dependence: Implications for Treatment. Science & Practice Perspectives, 1(1), pp.13-20. Drewes, A., Jensen, R., Nielsen, L., Droney, J., Christrup, L., Arendt-Nielsen, L., Riley, J. and Dahan, A. (2012). Differences between opioids: pharmacological, experimental, clinical and economical perspectives. British Journal of Clinical Pharmacology, 75(1), pp.60-78. “Detox” diets are more dangerous than any “toxin” they claim to remove. The health and wellness market in 2018 has, to date, surpassed a retail value of 149 billion euros. A particular feature of these sales the last few years has been the effect of social media which have helped to support an exponential increase in the promotion of a dangerous quick-fix dieting culture, mainly aimed at young and impressionable teenage girls and other health conscious members of the public. Firstly, what is a detox diet? A detox diet generally consists of restrictive and unsafe behaviours, such as avoiding entire food groups, drinking only specific liquids (lemon juice or warm water, for example), taking supplements or herbs, using laxatives or even simply fasting altogether. Many of the new and emerging dieting products or regimens use shiny buzzwords, boasting claims of “cleansing” or “detoxing” the “toxic waste” we have built up in our bodies. Such marketing depends on the appeal to natural fallacy – a “natural is best” mentality, which fosters the impression of the body being dirty, clogged and in desperate need of cleaning. In addition to a whole body cleanse, many detoxes also claim to provide rapid weight loss (with concomitant assertions of producing a flat tummy and the banishment of cellulite), improved immune function, improved energy levels, reduced depression, and even “glowing skin”, stronger nails and hair. Is there any science behind the myth? Simply put: NO! Unless you are suffering from liver or kidney damage, there is little chance your body is rife with toxins. The plain fact is that the body has many specific functions that contribute to the detoxification and elimination of potentially harmful substances. The process of detoxification involves the mobilisation, biotransformation, and elimination of toxicants of exogenous and endogenous origin, at the cellular, tissue and organ level. Even heavy metals and persistent organic pollutants, which tend to accumulate in fat tissue or blood, are removed efficiently and effectively in levels up to and reasonably above the those consumed in a typical diet. Although the industry is soaring, there is very little clinical evidence that detox or cleansing programs have any beneficial effects, and in fact the opposite may be true in as much as the rapid weight loss associated with these diets is the result of to fluid loss associated with low carbohydrate intake and frequent bowel movements caused by the addition of a laxative. In a critical review of the evidence into the efficacy of detoxification diets, Klien and Kiat (2015) concluded that although there are a sporadic clinical studies suggesting that certain compounds enhance liver detoxification and eliminate pollutants from the body, they have been riddled with methodology flaws and small sample sizes. As such – there has not been a single randomised, independent, controlled trial of any commercial detox diet in humans. And yet these products and regimes are becoming increasingly popular and common in all demographic groups. What is often left out from the small print of these detox diet plans, is that studies have repeatedly shown that one to two thirds of dieters regain more weight than they lost on their diets, and even then these studies most probably underestimate the extent to which dieting is counterproductive due to several methodological problems, all of which bias towards showing successful weight loss maintenance. Bootea is a health and weight loss company that has had a very impressive reach on social media. By creating sponsorships and paid promotions of their detoxifying teas with popular, usually female, celebrities, they have been able to tap into the target audience of potentially vulnerable women and girls who are determined to lose weight – regardless of the detriment to their health. Bootea sell many products, their staple being detoxifying teas and coffees. These “teatoxes”, as they are called, contain Senna, a natural laxative used to treat constipation, which can produce results akin to weight loss and detoxification. It is therefore critical to note, that Senna has no impact on fat loss or calories absorption in the body, and produces no modulation of function on the vital detoxification processes in the liver and kidneys. Furthermore Bootea’s teatoxes are marketed and sold as 28 day teatoxes – this is 3 weeks longer than is safe to take laxatives. Are there any detoxifying compounds? Although there is no doubt we could all probably benefit from reducing the volume of processed foods from our diets (a conversation for another time, perhaps), as it stands now, there are no pills, “miracle foods”, specific drinks or magic tricks that can remove “toxins” from your body, or produce meaningful beneficial effects. Detox diets are a marketing myth that capitalises off the vulnerabilities and insecurities of the health conscious public, rather than offering much in the form of a scientifically grounded revolutionary discovery in clinical nutrition. What are the toxins it claims to remove? How do they remove these toxins? What is the evidence for these claims? Hodges, R. and Minich, D. (2015). Modulation of Metabolic Detoxification Pathways Using Foods and Food-Derived Components: A Scientific Review with Clinical Application. Journal of Nutrition and Metabolism, 2015, pp.1-23. Vistisen, K. (2004). Low CYP1A2 activity associated with testicular cancer. Carcinogenesis, 25(6), pp.923-929. Cline, J. (2015). Nutritional aspects of detoxification in clinical practice. Alternative Therapies In Health And Medicine, 21(3). Wasser, J., Berman, T., Lerner-Geva, L., Grotto, I. and Rubin, L. (2015). Biological monitoring of Persistent Organic Pollutants in human milk in Israel. Chemosphere, 137, pp.185-191. Genuis, S. (2010). Elimination of persistent toxicants from the human body. Human & Experimental Toxicology, 30(1), pp.3-18. Rodrigues, C. (2018). BooTea | SiOWfa15: Science in Our World: Certainty and Controversy. [online] Sites.psu.edu. Available at: https://sites.psu.edu/siowfa15/2015/10/21/bootea/ [Accessed 3 Sep. 2018]. Mann, T., Tomiyama, A., Westling, E., Lew, A., Samuels, B. and Chatman, J. (2007). Medicare’s search for effective obesity treatments: Diets are not the answer. American Psychologist, 62(3), pp.220-233. Sian, P. (2016). Food Fact Sheet: Detox Diets. [online] Bda.uk.com. British Dietetic Association. Available at: https://www.bda.uk.com/foodfacts/detoxdiets.pdf [Accessed 3 Sep. 2018]. Statista. (2018). Health and wellness: market value in Western Europe 2013-2018 | Statistic. [online] Available at: https://www.statista.com/statistics/491510/health-and-wellness-western-europe-market-value/ [Accessed 3 Sep. 2018]. Klein, A. and Kiat, H. (2014). Detox diets for toxin elimination and weight management: a critical review of the evidence. Journal of Human Nutrition and Dietetics, 28(6), pp.675-686. Sainsbury, A. and Zhang, L. (2010). Role of the arcuate nucleus of the hypothalamus in regulation of body weight during energy deficit. Molecular and Cellular Endocrinology, 316(2), pp.109-119. Hi! 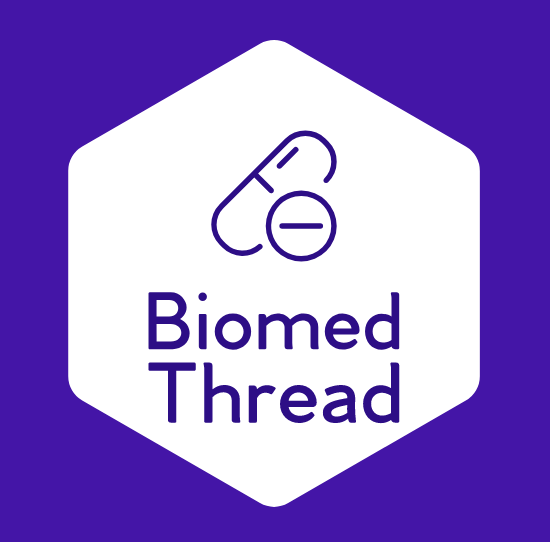 Welcome to Biomed Thread – a biomedical based blog run by Pharmacology students at the University of Leeds. We are excited to share our thoughts on many topics, from groundbreaking drug breakthroughs to intricate social issues. We continue to strive towards effective communication and scientific engagement with the general public. Nancy – Hello! I’m Nancy, currently on placement working as a global research assistant and clinical project administrator in late phase clinical trials for a contract research organisation. Within pharmacology, my specific interests are within neuropharmacology – being particularly interested in psychotic disorders such as schizophrenia. I also have a keen interest in obstetric and foetal toxicology, in particular focusing on the effects of anti-epileptics in terms of foetal hydantoin syndrome. I hope to write my dissertation on the intricacies of bridging the gap between in-vivo animal studies and first-in-man clinical trials in regards to neuropharmacology. I started this blog project as a good way to keep engaged with the scientific community, and equally to be a part of the vast repertoire of reliable and informed information with the aim of debunking troubling pseudoscience and misinformation. Erika – Hi everyone I’m Erika, and currently starting my third year of Pharmacology at Leeds. My main interests within my course lie in clinical pharmacology and healthcare but also in neuropharmacology, addiction and dependence of drugs. Hence, I hope to work for the pharmaceutical industry or in healthcare once I graduate. I’m really excited to be part of this project because it is vital to engage future young scientists into field. Engaging people into science and communicating pharmacology is one of my main goals, and some of the relevant books which have inspired me are ‘Drugs Without the Hot Air’ by David Nutt and ‘Pharmageddon’ by David Healy. Shannon – Hi everyone, my name is Shannon and I’m currently on a placement year at the Medicines Evaluation Unit in Wythenshawe Hospital where I work within the academic team as a research technician. I’m currently studying Pharmacology, and I am particularly in neurodegenerative disease research and the pathophysiology of memory loss. While at MEU I’m hoping to gain the skills required to undertake a PhD in this area. Besides this, I’m a keen advocate of public engagement regarding Pharmacology. I currently volunteer with the British Pharmacological Society and the Biochemical Society where I participate in public engagement events for people of all ages. Matilde – Ciao readers!! My name is Matilde, I study Pharmacology at the University of Leeds. I am currently on a placement scheme based in Greater London, where I work as a Medical Affairs Associate for the Oncology department for a leading pharmaceutical company globally. I always come across something new and exciting to learn, hence why my interests tend to change vastly. I wrote my high school thesis on stem cells and regenerative therapy, and at university I collaborated on a research project surrounding the ethical issues of animal testing. I have also developed an interest in neuropharmacology, pharmacogenetics and pharmacogenomics. At the moment I am focusing on immunotherapy as part of my job in pharma. Sarah-Jane – Hi everyone, my name is Sarah-Jane and I am currently undertaking an industrial placement at Reckitt Benckiser in regulatory affairs specialising in core safety labelling and CCDS/CSI implementation across the global RB portfolio. Whilst at RB I am also volunteering with TOPRA to work with the head of membership to develop local TOPRA networks in the UK for meetings and discussions. I am currently studying pharmacology at the university of Leeds, and I am particularly interested in the mechanism behind toxicants such as dethylstilbestrol and how regulatory application can prevent the potential suffering experienced by those exposed to the toxicants. Georgia – Hi, my names Georgia and I’m going into my third year of Pharmacology at the University of Leeds. I love how pharmacology integrates the physiology of the body to how we can treat physiological problems. My particular interests in the area include the biochemistry of the brain in terms of the treatment of mental health problems; such as depression, and futhermore and how low self esteem and chemical imbalances can lead to body dysmorphic disorders, such as bulimia and anorexia, and how we could biochemically reverse this. I would like to progress my study to do a masters degree, and then work in drug research and development.